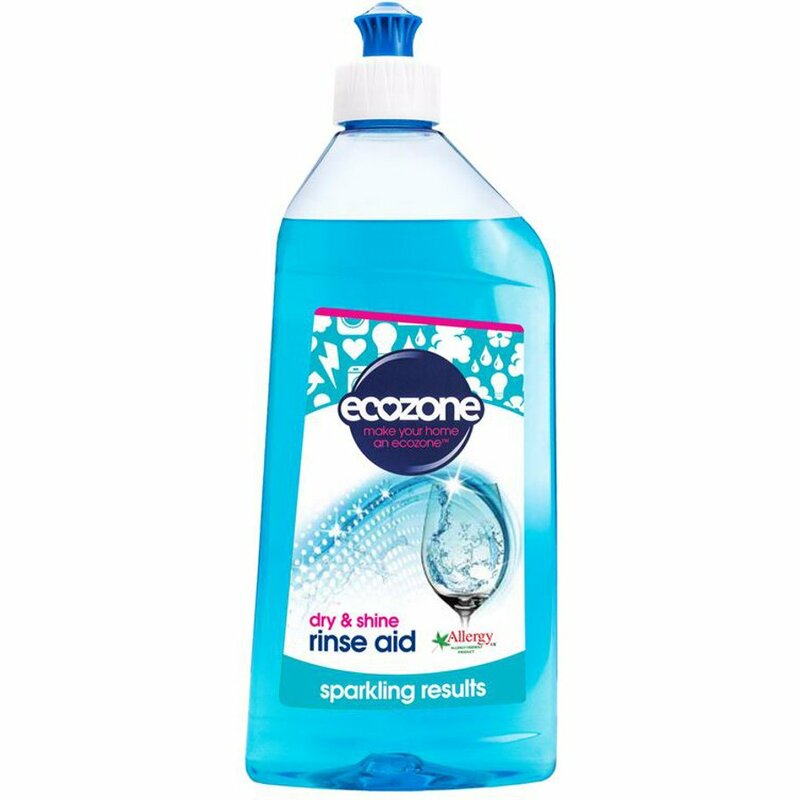 Ecozone dishwasher rinse aid will leave naturally shiny, sparkling dishes and glasses without streaks. The natural formula helps to clear any unwanted particles, reducing smearing and streaking without the use of harsh chemicals. Directions for use: Fill the rinse aid reservoir in the dishwasher (see manufacturer’s instructions, don’t forget to check the level regularly). For best results use with Ecozone Dishwasher Tabs for a fresh, brilliant finish every time you wash.
Aqua, Fatty Alcohol Alkoxylate, Sodium Cumenosulfonate, Maleic acid, Citric Acid, Potassium Sorbate. There are currently no questions to display about Ecozone Dishwasher Rinse Aid - 500ml.